Home Commercial Rib Charter Seawork ’17 – A successful show. Seawork ’17 – A successful show. Island Phoenix – Crew Transfer. 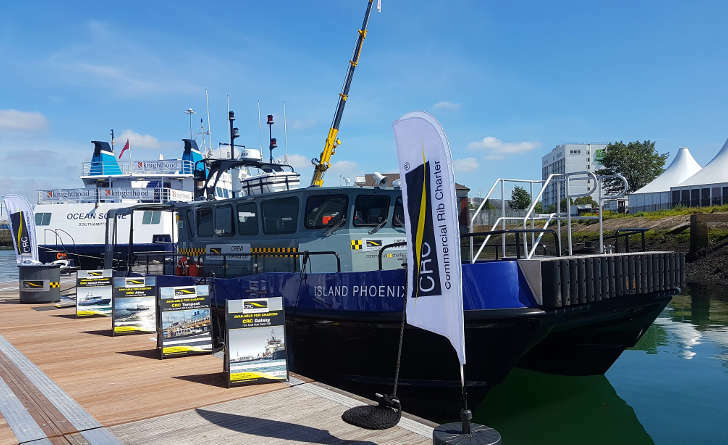 After making the decision to take CRC Island Phoenix to Seawork 2017 in June, we couldn’t have been happier with the interest both on-board at the show and in the office during the weeks after. Since the show, CRC Island Phoenix has been mobilised to Folkestone in Kent where she will be operating a number of daily Crew Transfers, Stores Deliveries and Guard Duties for the end client. 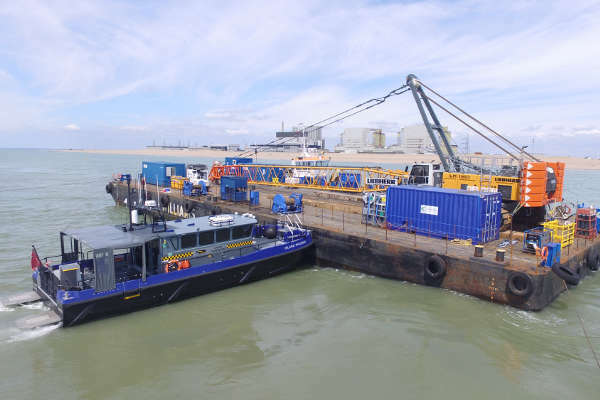 Working on a diving site at the Dungeness power station has meant strict security checks for the CRC crew and stringent vessel audits had to be carried out before the job could commence. With that all completed CRC Island Phoenix could get about her business. Her first task was to deliver 1 tonne of bottled drinking water out to the diving barge. Thanks to her enormous forward deck space, this was done with ease. Stores delivered, it was time to settle in to the Crew Transfer routines. Taking a group of twelve divers 14 nautical miles down the coast with all of their equipment could be completed in almost all conditions thanks to her excellent sea-keeping ability, however due to the stunning conditions we’ve had so far this summer, its been a smooth and comfortable transit. Contact us to find out more about CRC Island Phoenix and the rest of our fleet.